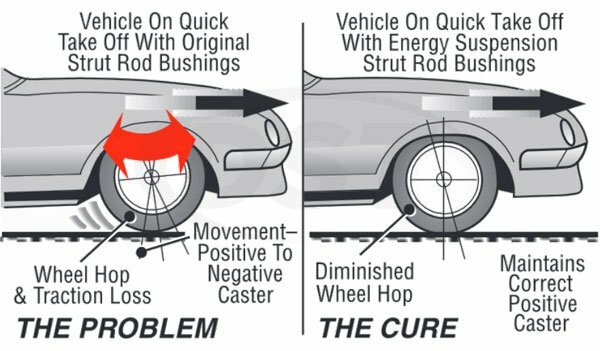 Energy's strut rod bushings help control unwanted steering axis changes, diminishing wheel hop and reducing traction loss. 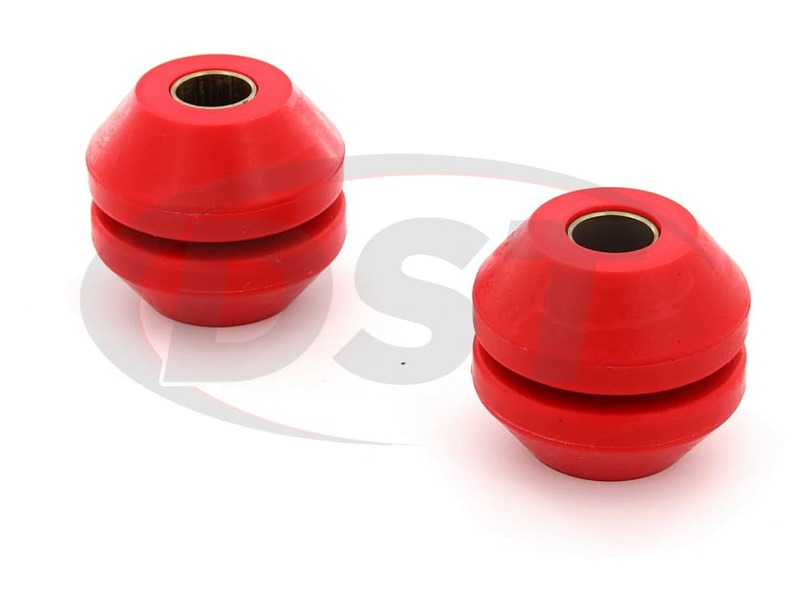 These performance polyurethane components help reduce common wheel "roll under". This occurs when stopping abruptly, especially when using performance tires. For both front of rear drive vehicles is equipped. Replaces that original, short lived and too soft O.E.M. rubber. On front wheel drive vehicles diminishes wheel hop and traction loss during standing start accelerations. Better maintains proper alignment under extreme conditions. Designed to increase driver control while braking or accelerating, strut arms secure your control arm to the chassis. 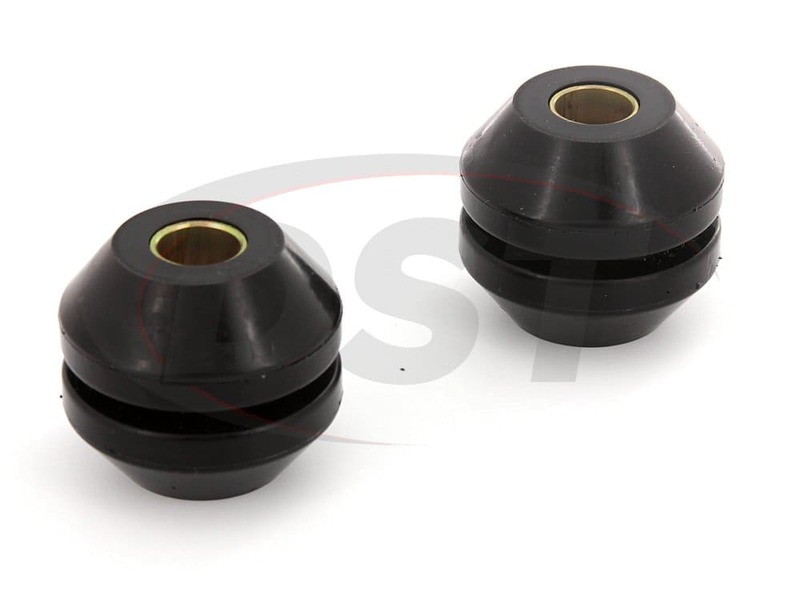 Strut arm bushings protect the connections between the strut arm, the control arm, and the chassis. It's incredibly important to keep these connections in pristine condition, otherwise you'll undoubtedly start encountering handling issues at times when driver control is most vital. 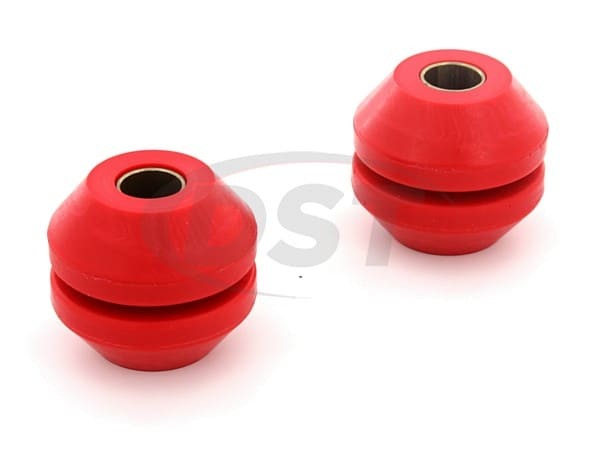 The OE strut arm bushings installed on your vehicle are made of soft rubber. this rubber is prone to stretching, cracking, and rotting away. 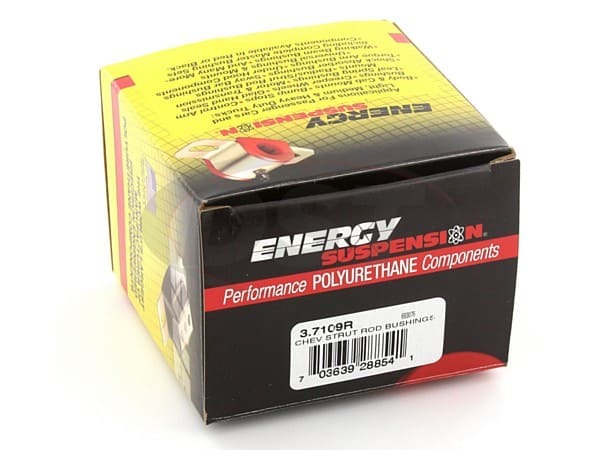 Energy Suspension offers their Hyperflex polyurethane bushings as a substantial upgrade over the OE rubber. Easily capable of resisting road contamination and physical wear, Energy's strut arm bushings will securely strengthen your strut arm and enhance your control. 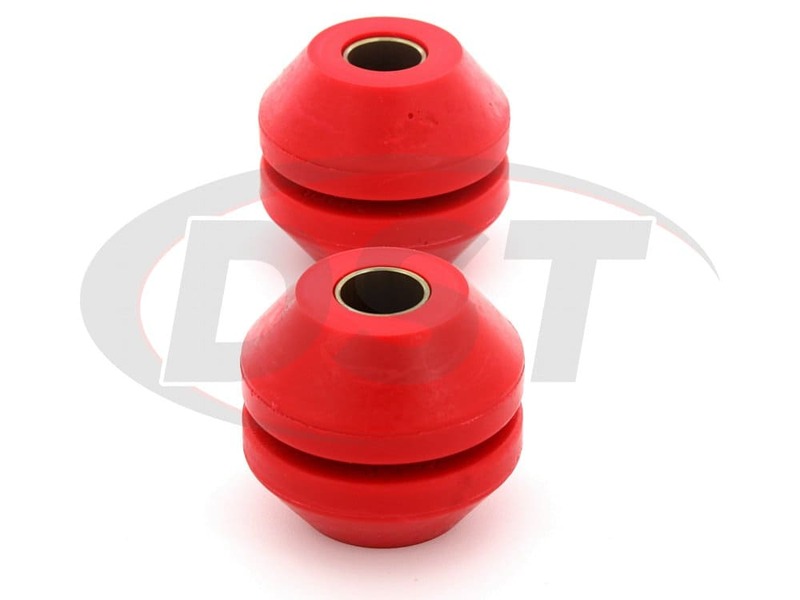 To top it off Energy Suspension covers their strut arm bushings with a two-year warranty handled in-house here at DST. EXCELLENT QUALITY, PERFECT FIT, REASONABLE PRICE. WHAT MORE COULD YOU ASK FOR? AND HOW ABOUT CUSTOMER SERVICE ? THESE FOLKS ARE PHENOMENAL!! Over all was pleased with the bushings . The final test will come in spring when I can put the car back on the road. The parts are quite firm, but fit well as original.